*This post was kindly sponsored by Basic Invite, but all opinions expressed are my own! I probably spend WAY too much time picking out invitations, but it’s the first impression people get of your party! Before the balloons, streamers, and cute tablescapes, people see your invitation. I’ve always had a hard time finding affordable invitations that look unique and special. For a while, I would just design my own! But now with a 1 year old running around, I just don’t have the time for that. 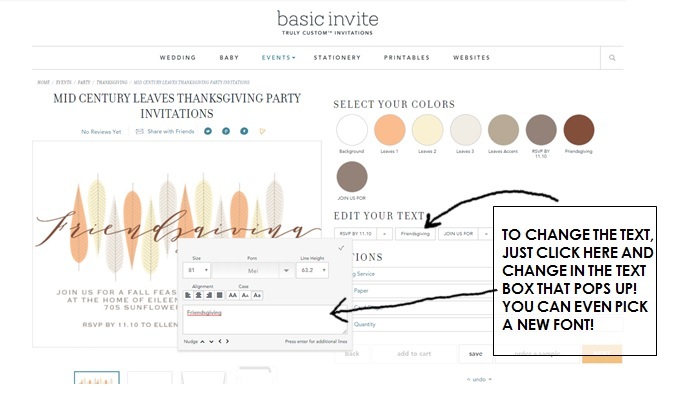 Basic Invite is a website that has so many adorable invitation designs that they allow you to customize yourself! 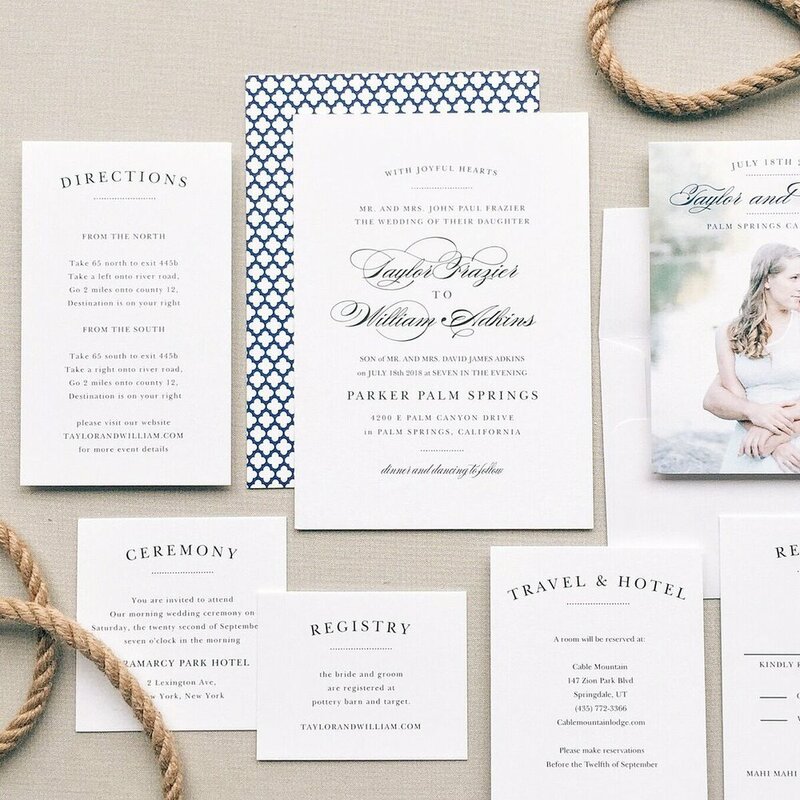 From the colors to the wording, you have the ability to create the perfect invitation! I also love how easy the site is to use! As you’re making changes to the design, they will populate into the example. Being able to instantly see the preview makes it so much easier to quickly make any adjustments until it looks exactly how you want it! I really love how user friendly they made the whole customization process. If you want to change the colors on the invitation, all you have to do is click on the appropriate circle and that will show you a pop up with 180 different color options! I can’t even tell you how many times I’ve found an invitation design that I love but the colors weren’t right! With this option, that will never be a problem! After you select the options that you want, you can either click the “NEXT” button to proceed to ordering or you can click “ORDER A SAMPLE”. This is something I’ve never seen anywhere else! 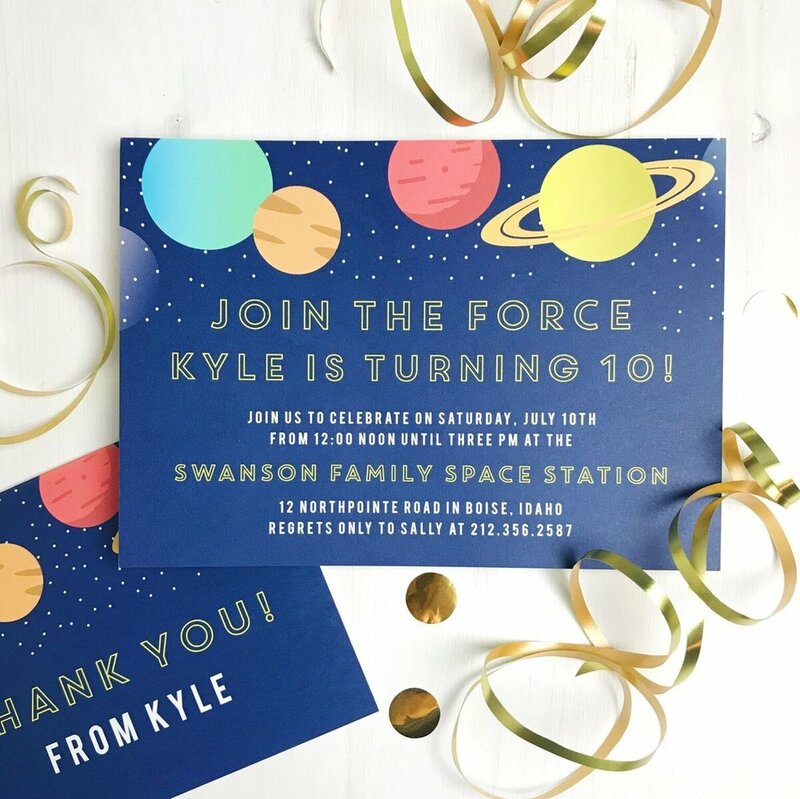 You have the option to order a sample of your invitation (you can even order it in multiple paper types) so you can see what it will look like in real life! This would definitely come in handy for weddings (or any big event)! If you’re ordering hundreds of invitations, it would be so nice to be able to see a sample in person before placing that huge order! 2.) Address capturing (You get a link to share with friends & family where they input their addresses- this info is then stored in your account for future use!) **PLUS they offer recipient address printing at NO additional cost on all Christmas card orders! So if you’re planning a party or starting to think about your holiday cards (yes, it’s already that time of the year again!!) be sure to check out Basic Invite! 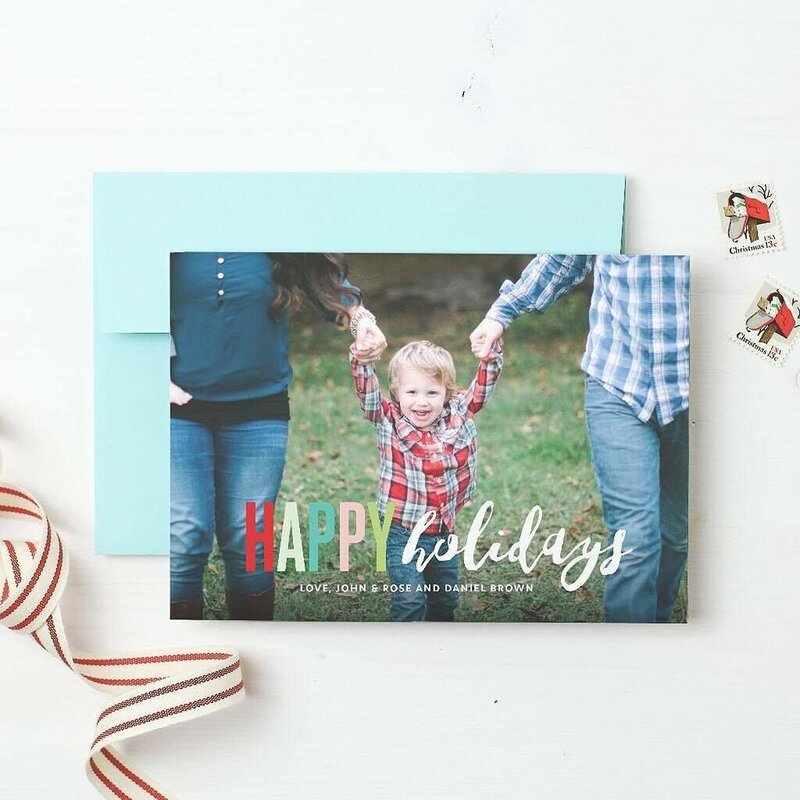 And use code “15FF51” to get 15% off - OR “HOLI30” for 30% off all holiday cards!! Be sure to follow Basic Invite on their social media accounts to keep up with their latest designs + promotions!